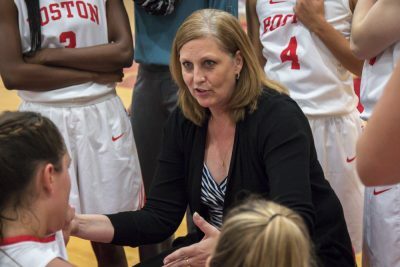 Steding recently finished her fourth season at the helm of the women’s basketball team and was the program’s seventh head coach. During her four years at BU, Steding amassed a 31-88 record and led the Terriers as far as the Patriot League quarterfinals during the 2016-17 season with a 13-17 record. This past season the team finished with a 10-19 overall record and 5-13 in the conference after falling in the first round of the playoff tournament to Lehigh University. Steding was not available for comment.